*** $4000 REBATE FOR CASH BUYERS * CASH PRICE ONLY, CALL FOR GREAT LEASE AND FINANCE RATES *** Rugged. Powerful. Refined. Tundra has proven time and again that it’s always up to the task. You’ll get where you’re going in style and comfort. 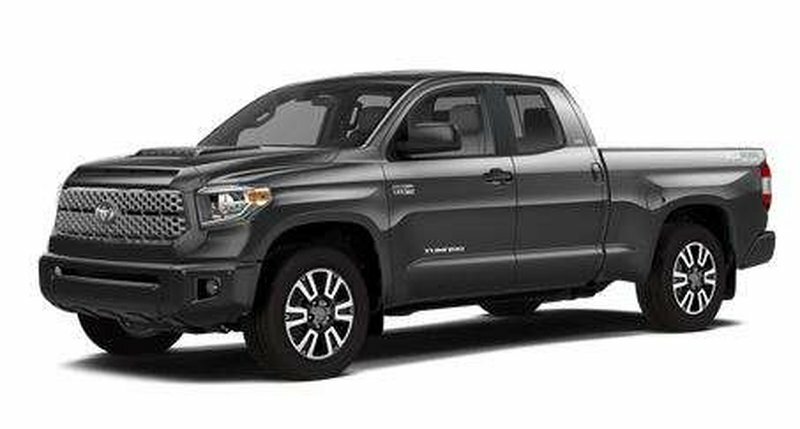 With this 5.7L double cab SR5 Plus you will have 5 passenger seating, 381-hp, 5.7L i-FORCE, 8-cylinder Engine, 6.5-foot Cargo Bed with Bed Rails and Tie-Down Cleats, 6-speaker, 7 inch Touchscreen Audio with SiriusXM Integration, Bluetooth® Capability, Backup Camera, Tow Package, Trailer Brake Controller & Sway Control, Cruise Control and LED Daytime Running Lights, Toyota Safety SenseTM P which includes a pre-collision system with Pedestrian Detection, lane departure alert, automatic high beams and dynamic radar cruise control, Steering Wheel Audio Controls, Advanced Voice Recognition, 8-way Power Adjustable Drivers Seat, heated seats and more! With the TRD Sport package you get Navigation, Garage Door Opener, Clearance and Backup Sensors, Colour-Keyed Mirrors, TRD Decals, Hood Scoop, Anti-theft System, LED Fog Lamps, LED Headlamps, Auto-dimming Rear View Mirror with Compass, TRD Sport-tuned Bilstein Shocks, TRD Front and Rear Sway Bars, 255/70R18 Spare Tire with Steel Wheel, 275/55R20 Tires, Interior Trim: TRD Shift Knob, Power Sliding Rear Window and 20 inch Aluminum Alloy Wheels!